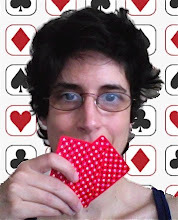 I've had 4 royal flushes so far in my relatively short poker career. Three of them have been online, two in no-limit hold'em and the one pictured here from this morning's game of Omaha HiLo. Obviously any big hand is easier to make in O8, but still, I thought it worth a screenshot. Didn't even make it to the final table of my B League. Then, on the way to my Capitol Hill game, my car's overheating engine warning light started flashing. This is, mind you, the same car I just had in for very expensive maintenance yesterday. So I pulled over, waited for it to cool down, and then went straight home. Of course the light came on again, as well as the check-engine light, causing me nothing but anxiety the whole way. I have an appointment for tomorrow morning, and it is to be hoped that they can solve the problem in one day, as I'm planning to drive to AC on Monday. I suppose I should be grateful if I can get the car to the shop without the engine melting down. NOT a happy camper. (God only knows what this fix will cost.) File under: life tilt. 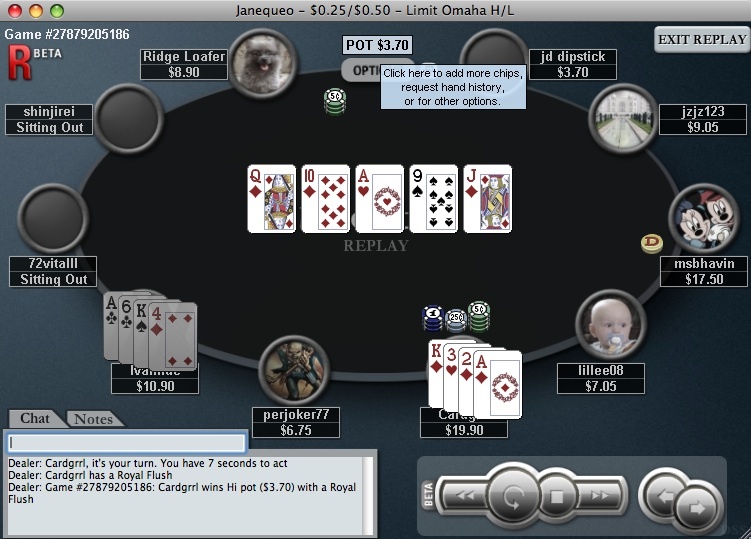 I did manage to cash in a Omaha Hi/Lo game online. Barely, but hey, I'll take what I can get at this point.